Esther L. Lundberg (nee Lauffenburger), 96, passed away on Saturday, Aug. 25, 2018, at the Rouse Home. Born on Feb. 11, 1922, in Warren, Pa., Esther was the daughter of the late Leon J. Lauffenburger and Esther A. Howe Lauffenburger Thelin. A lifelong resident of the Warren-Youngsville area, Esther graduated from Warren High School in 1939. On June 8, 1941, she married Walter F. Lundberg, her loving husband of 50 years until his passing on April 24, 1991. Esther retired in 1988 from Solar Electric where she was employed for 40 years. 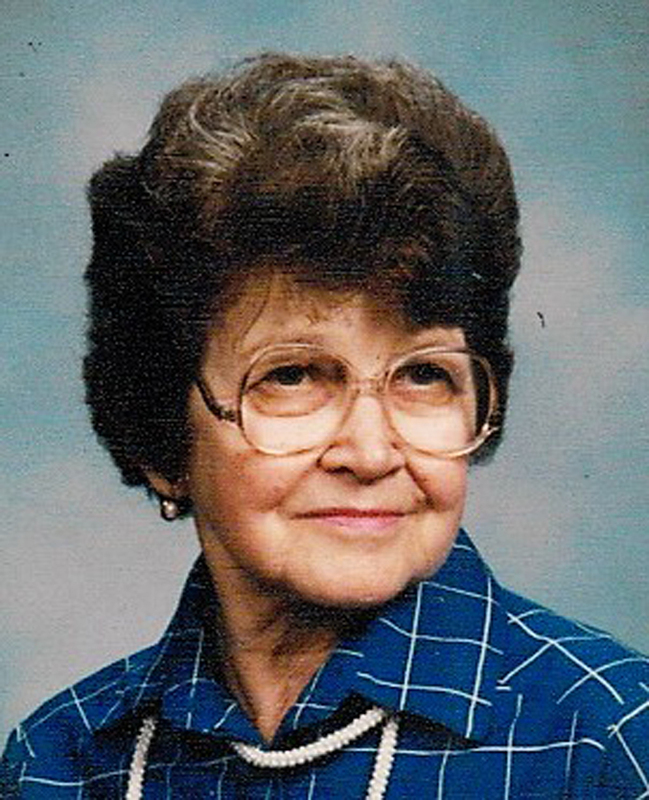 She was a longtime member of both the Warren and Youngsville First Methodist Churches. She enjoyed crocheting, painting, drawing, reading, and most importantly she loved her family and her dogs. Esther is survived by two daughters: Diane L. Williams of Maple Shade, N.J., and Linda L. Wood of Youngsville Pa.; five grandchildren: Tamara Dickerson, Jolene Lazar, Scott Dickerson, Timothy Mihalko Jr. and Kara Mihalko; 11 greatgrand- children; nine great-great grandchildren (and 1 on the way). Funeral arrangements were provided by the Peterson-Blick Funeral Home. A private memorial service was held at Warren County Memorial Park on Aug. 29, 2018. Officiated by the Rev. Jeffrey Canter of the First United Methodist Church, Youngsville, Pa. The family asked that memorial contributions be made to Paws Along the River Humane Society, 212 Elm St., Warren, PA 16365.